A case manager at Legacy Salmon Creek Medical Center devised a new program that also reaped an 81 percent reduction in avoidable emergency department visits by high utilizers. Cynthia Miceli, RN, a case manager at Legacy Salmon Creek Medical Center in Vancouver, Washington, designed a process – supported by a care collaboration network and emergency department-specific technology platform – that focused on identifying and supporting at-risk patients coming into the ED. As a result, her team reduced the hospital's all-cause readmissions rate by nearly 25 percent, and saw an 81 percent reduction in avoidable emergency department visits by high-utilizers over about 24 months. The IT, from vendor Collective Medical, is just a part of her story. Miceli used the the technical backbone to the program, which involved a process change to teach her team to think critically and holistically about the patient. Care collaboration is a key to successful healthcare delivery today, and there are many IT vendors on the market serving up systems to aid the process. These vendors include DrFirst, MedAptus, Salesforce and Surescripts. Other vendors of ED information systems, of course, include Epic, Cerner and EHR makers. Because the ED is often a hospital's front door – as is the case with Legacy Salmon Creek – Miceli took the initiative to structure a process and culture change around engaging high-risk, high emergency department utilizer patients as they presented in the department. At Legacy Salmon Creek, this has become a standardized approach to managing readmissions and inappropriate emergency department utilization, which is in alignment with Legacy Salmon Creek's Triple Aim approach of better care for individuals, better health for the community and lower costs. 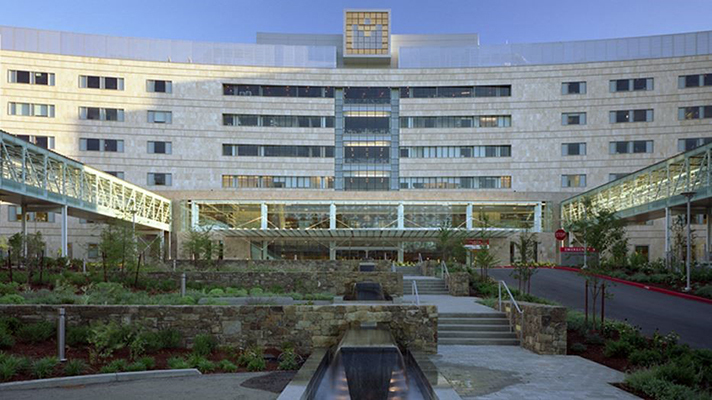 This project also supports Legacy Health's strategic goal to thrive in a value-based healthcare system that aligns care transformation with financial sustainability, Miceli said. "The first step was implementing a system that could identify these complex patients at the point of care," she explained. "Access to patient insights provided through Collective's care collaboration network and real-time, risk-adjusted event notification and care collaboration platform allowed staff to identify high-risk, high-use patients in real-time – some were identified with emergency department visits as high as 300 within the last few years." After being able to identify patients that meet certain risk criteria – five or more emergency department visits within the last 12 months, for example, or suspected narcotic-seeking behavior, or indicators of homelessness – Miceli and her team of emergency department care managers developed a process to mitigate the potential for avoidable readmissions and inappropriate healthcare utilization. Her team is able to use the care collaboration platform not only to identify high-risk patients and those with a propensity for violence, but also to enter care recommendations for review and use by the patient's broader care team, which is also listed within the platform. In addition, clinical staff use the platform as a tool for identifying patients who would benefit from options outside of the acute care setting. For example, patients facing end-of-life decisions are often better served by hospice. "I believed that even with all of the insights delivered by Collective, the team needed to learn to think critically about the needs of the patient and take action to drive change," she said. "So a huddle process was developed as part of the program where the care manager and emergency department provider discuss outpatient resources for chronic disease management and palliative care options as potential alternatives. Steps that came out of the huddle include: The team risk-stratified patients and incorporated end-of-life considerations into the process, increased the number of referrals made and informed primary care providers when their patients were in need of advance care planning, enhanced patient experience by ensuring those who were at the end of life were transported to the most appropriate setting during the dying process. What’s more, by meeting with managed Medicaid community partners, the team established a good rapport and created a referral process. Legacy Salmon Creek has a care coordination specialist who assisted the team with scheduling prompt follow-up appointments with the patient's health home and to provide at-risk patients with an extra layer of support, the team referred them to outpatient and insurance company case managers. Lastly, because patients with an admission were at risk for readmission, the team requested medical necessity reviews to determine appropriate patient classification and to determine if the admission was appropriate. "More than 600 referrals were made in the first year to insurers and primary care providers as patients were identified who could benefit from more proactive care management," she said. Care managers then implemented other multi-component interventions in line with the Washington State Hospital Association's Seven Best Practices. As for the hospital seeing an 81 percent reduction in avoidable emergency department visits by high utilizers over about 24 months, the technology again played a key role. "Data within the technology platform was used to identify patients at risk and to track emergency department visits to reduce 'shopping' by identified frequent emergency department utilizers,” Micelli said. As part of the effort to reduce avoidable emergency department use, Miceli and her team also implemented patient education efforts to redirect care to the most appropriate setting along with institution of extensive case management programs to reduce inappropriate emergency department visits by frequent users. "Progress is monitored by running reports from the technology platform, which is a large network of data from interconnected emergency departments," she said. "Strategies and assignments are adjusted weekly to stay on target."